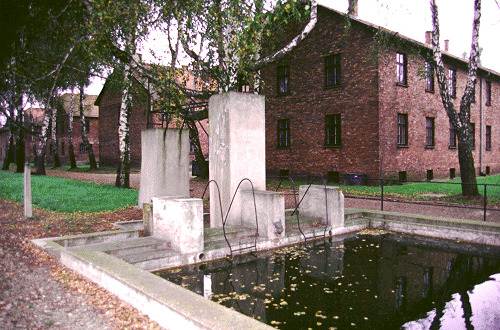 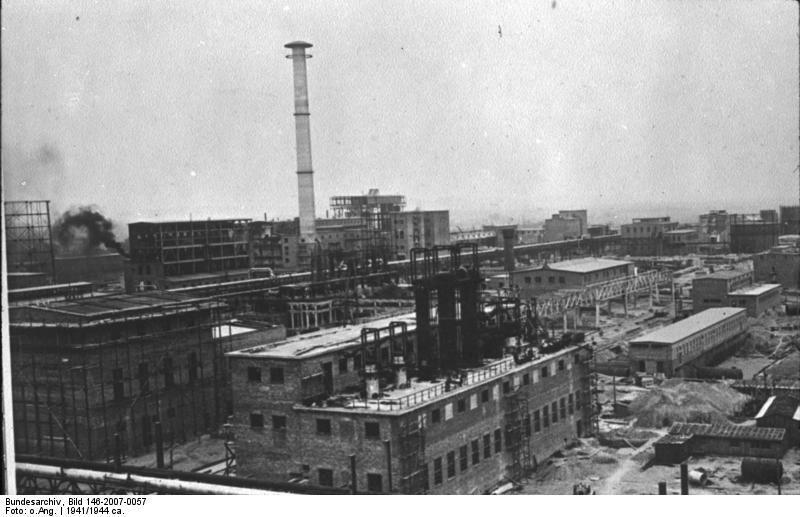 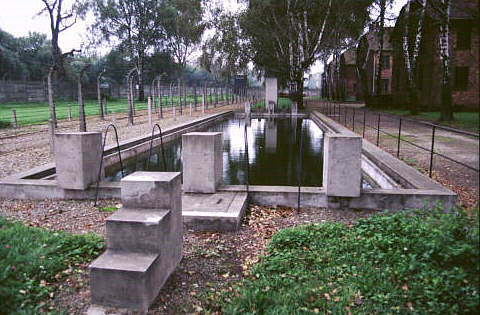 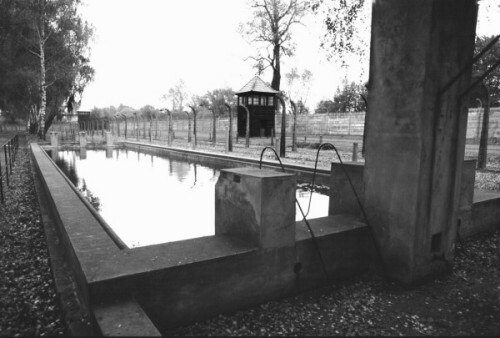 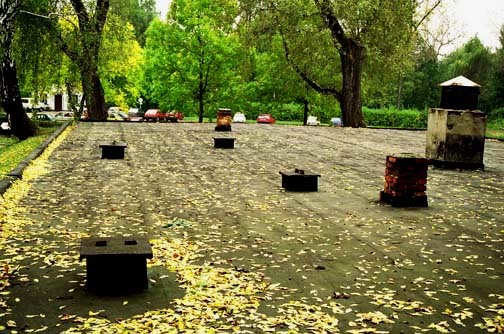 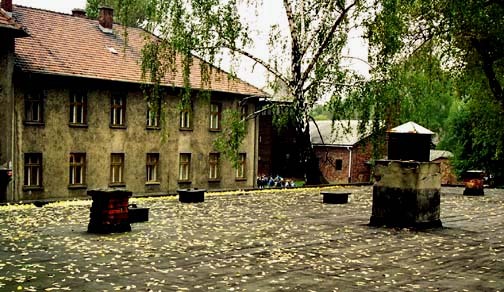 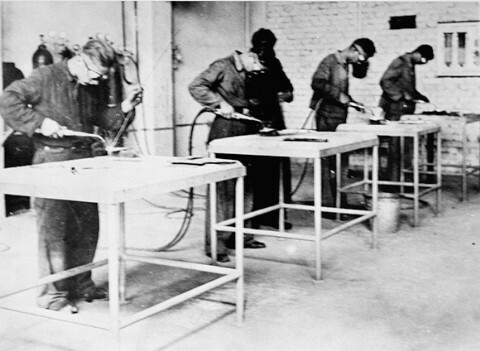 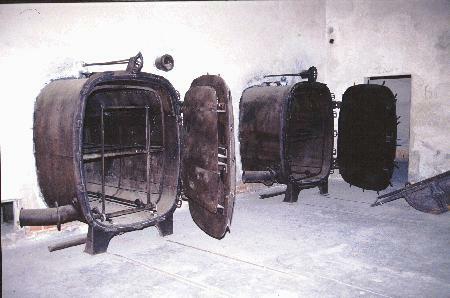 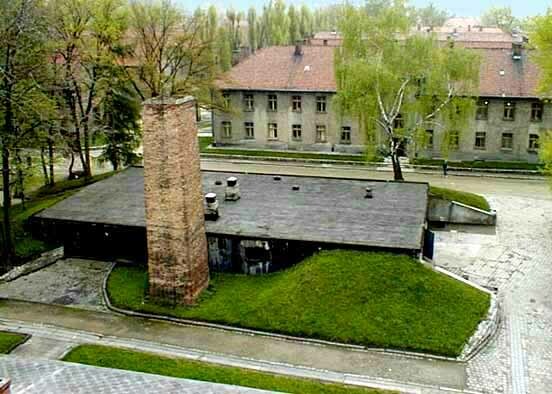 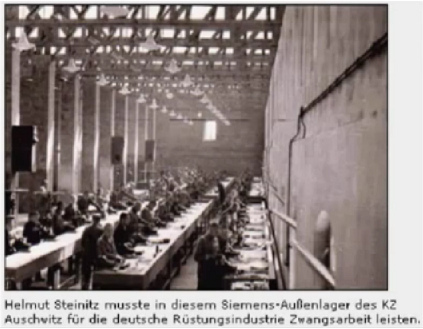 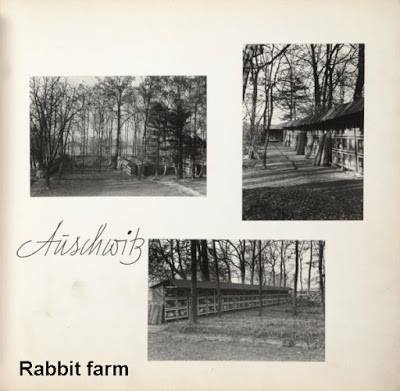 Auschwitz III, aka Monowitz, was established in 1942 at the site of the chemical factories of IG Farbenindustrie near the small village of Monowitz, which was located four kilometers from the town of Auschwitz. 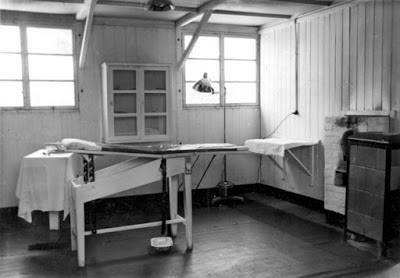 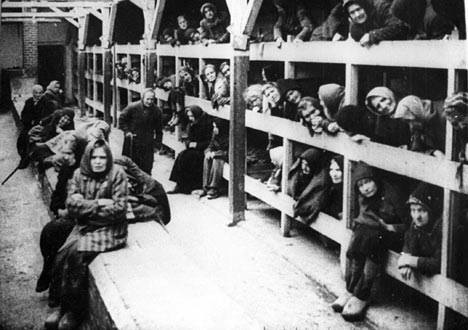 Picture taken inside the women's barrack at Auschwitz. 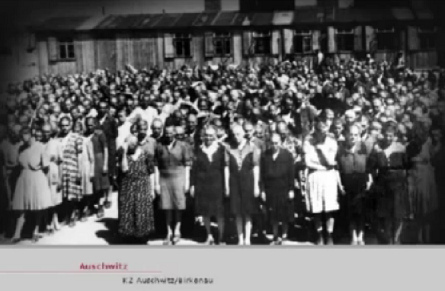 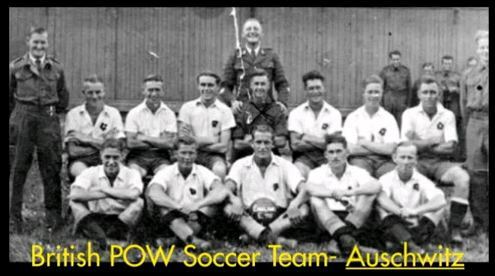 [vid] Holohoax Survivors who Tell the Truth Music, films, postcards home, soccer teams. 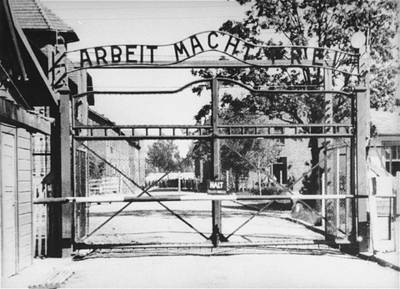 ‘Arbeit macht Frei’ (Work makes you free). 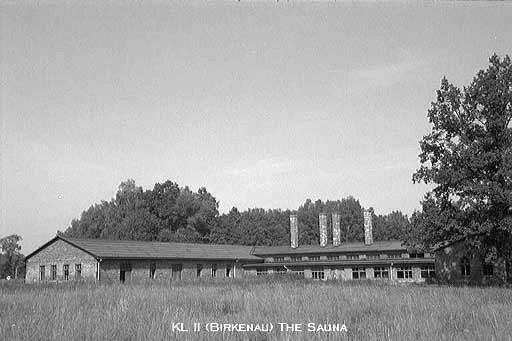 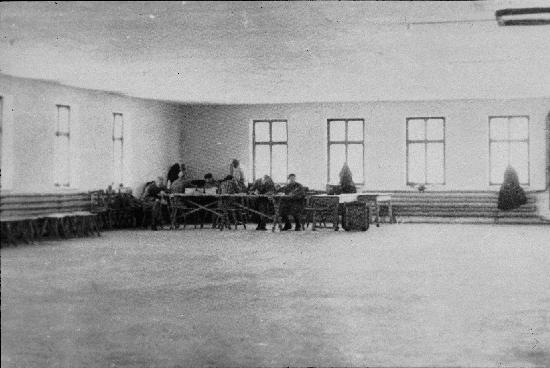 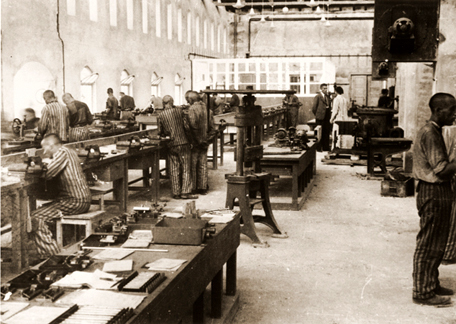 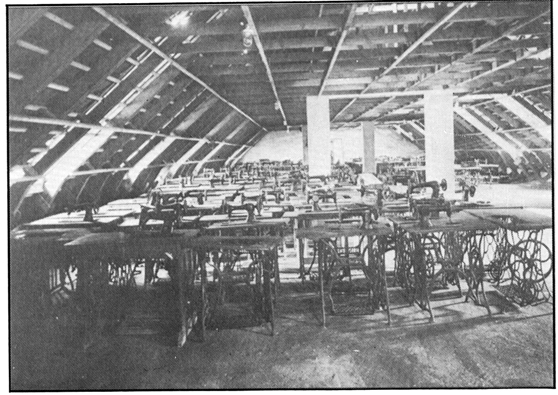 A work camp. 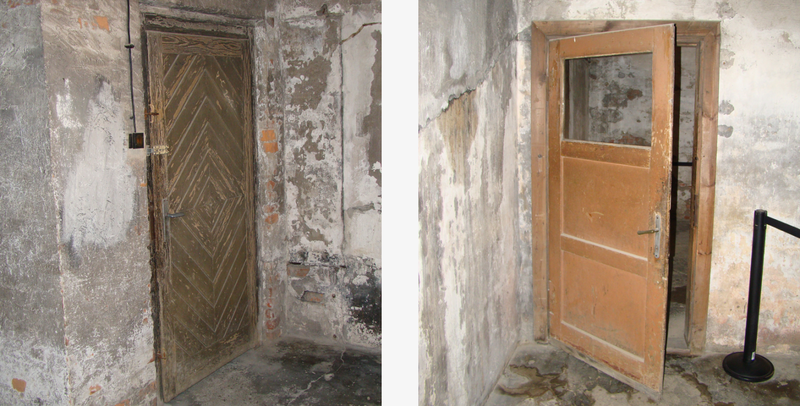 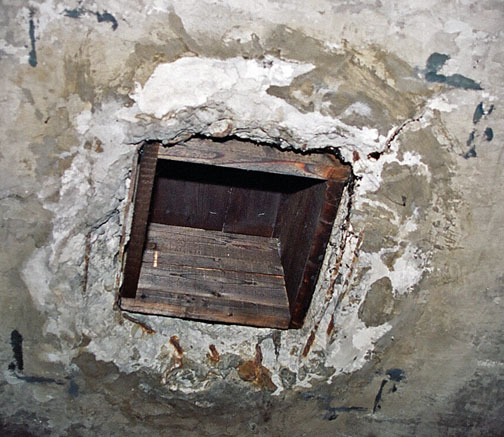 Crude holes put in by Russians, turning a morgue into a 'gas chamber'. 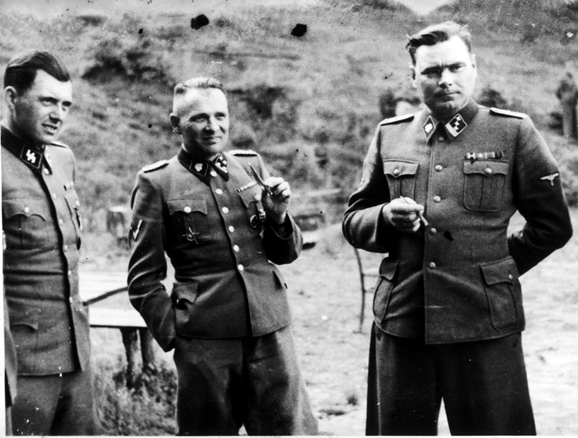 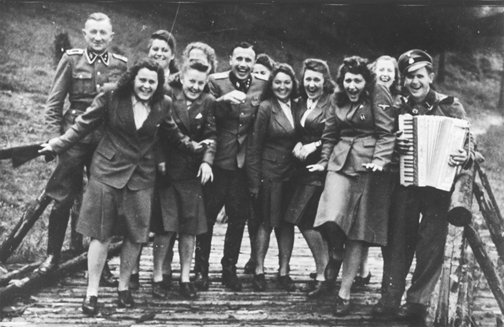 Auschwitz personnel on holiday at Solahuette. 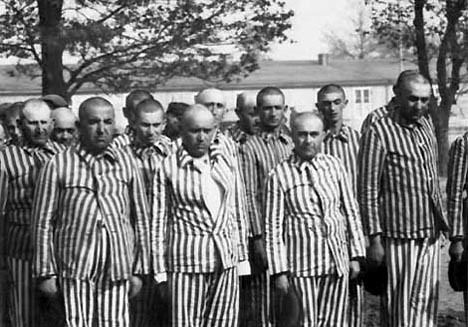 They don't look like they spend their time gassing people. 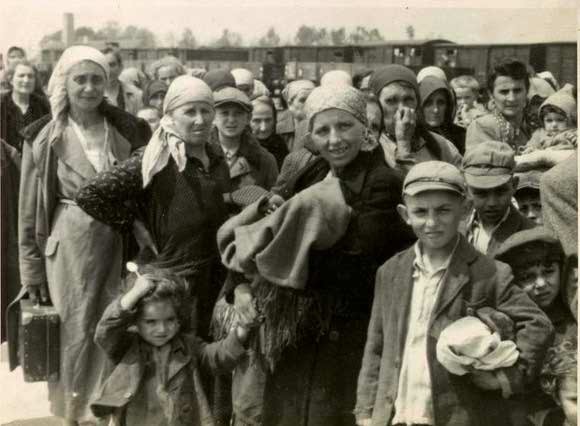 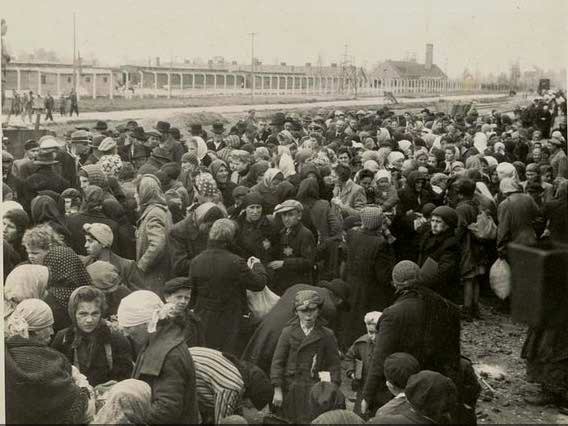 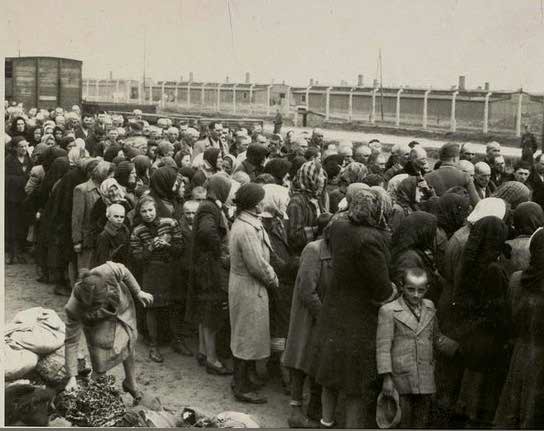 Some of the 5,800 Birkenau survivors, most of whom look like well-fed Polish peasants. 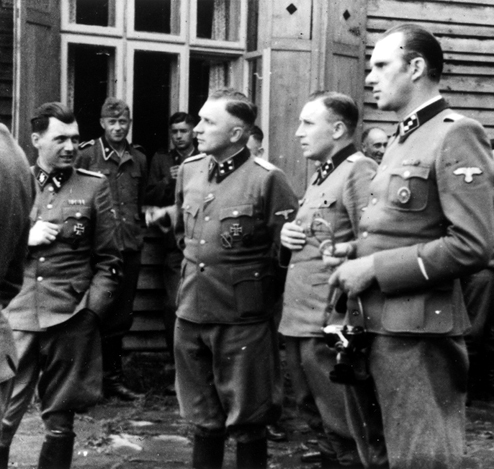 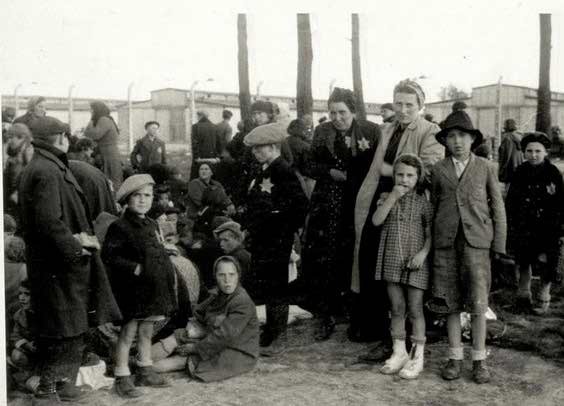 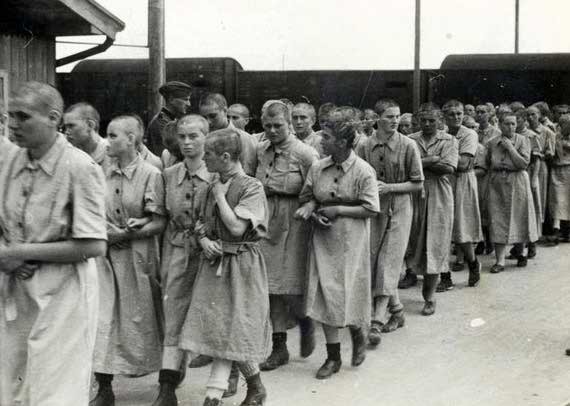 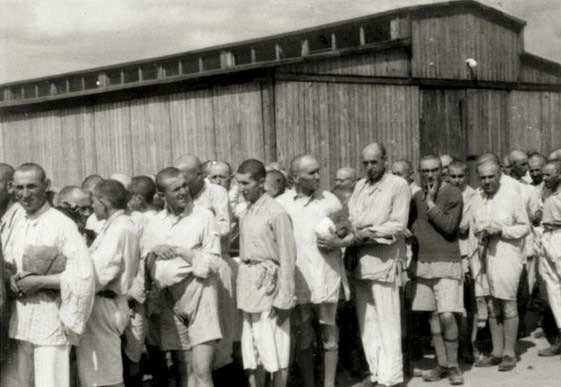 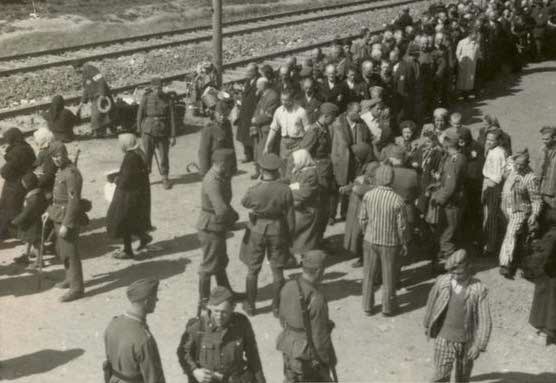 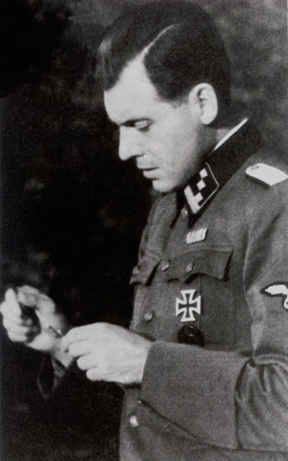 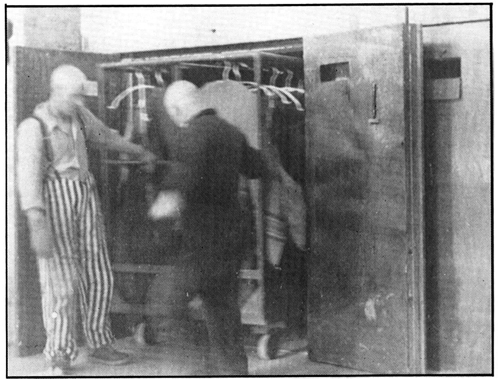 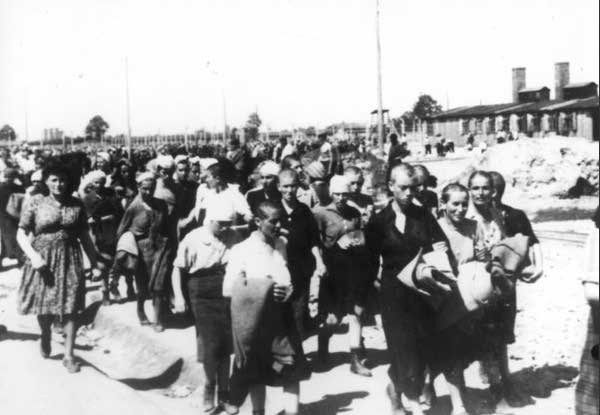 The tall, skinny guy wearing an arm band is Dr. Otto Wolken, a medical doctor in the Birkenau Quarantine camp, who stayed behind to help his fellow prisoners when the Birkenau camp was evacuated. 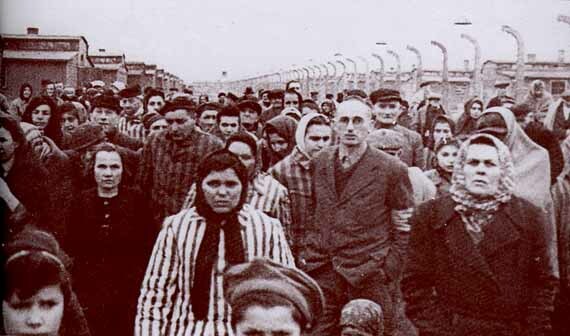 Soviet troops enter the concentration camp Auchwitz-Birkenau and rescue the people found there on January 27, 1945. 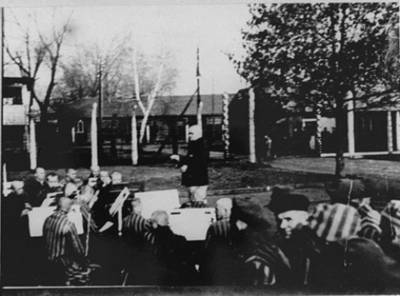 Prisoners in the Auchwitz concentration camp greet the Allied troops when they come to rescue them. 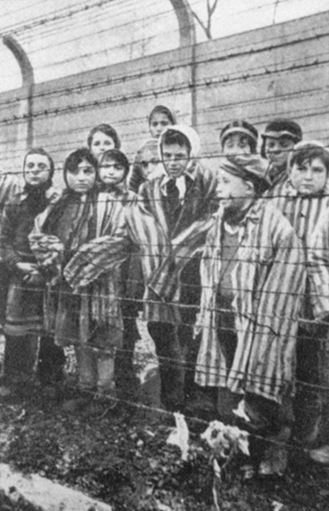 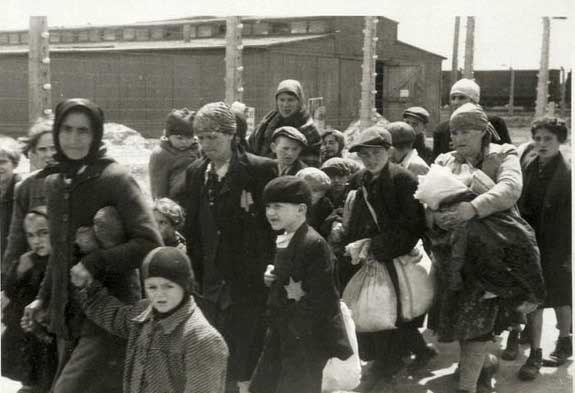 Healthy-looking children during the liberation of Auschwitz. 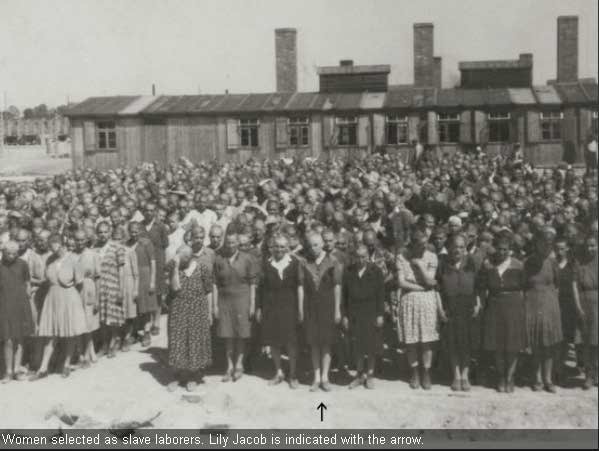 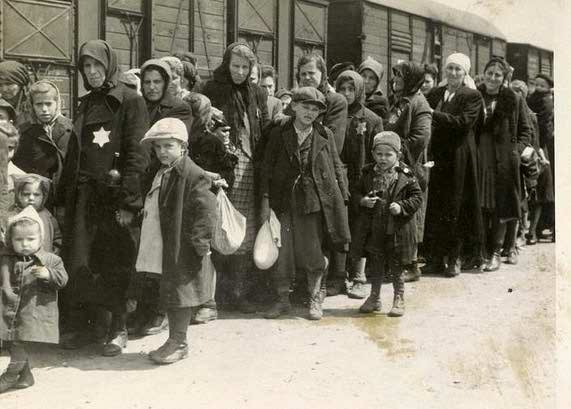 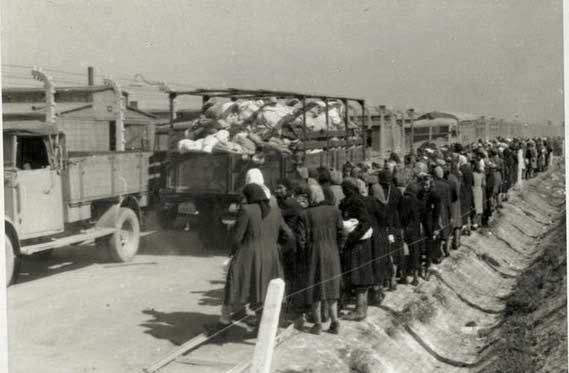 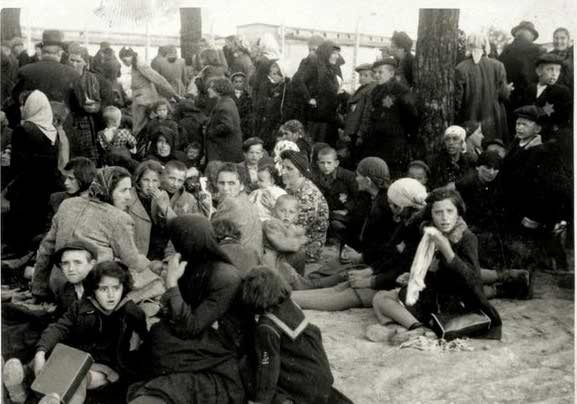 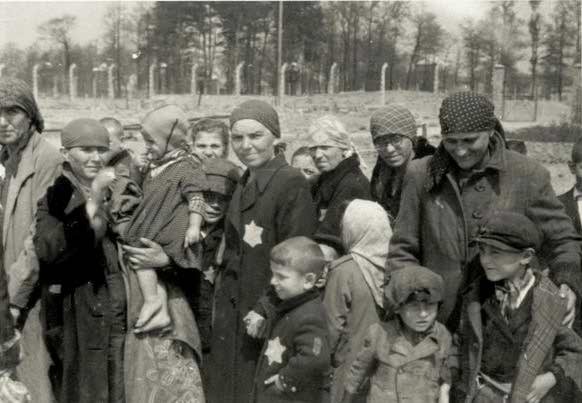 Photo of typhus victims, taken following the British occupation of the concentration camp Bergen-Belsen and published as 'victims of Auschwitz' in various periodicals, eg. 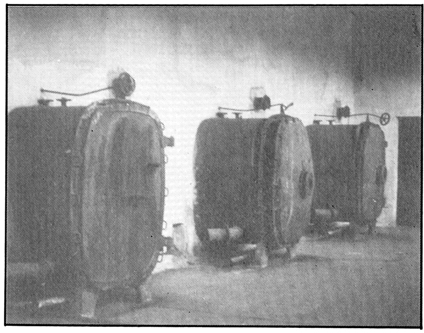 Quick in 1979. 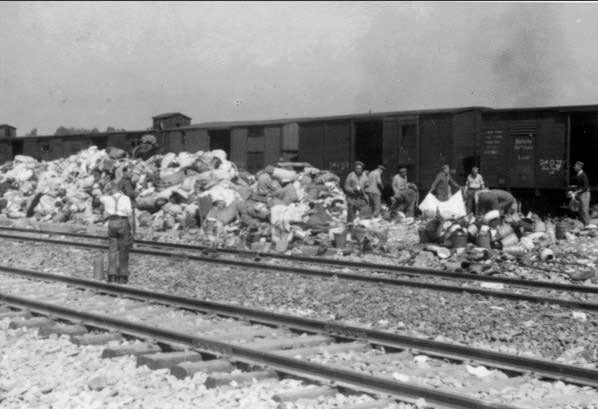 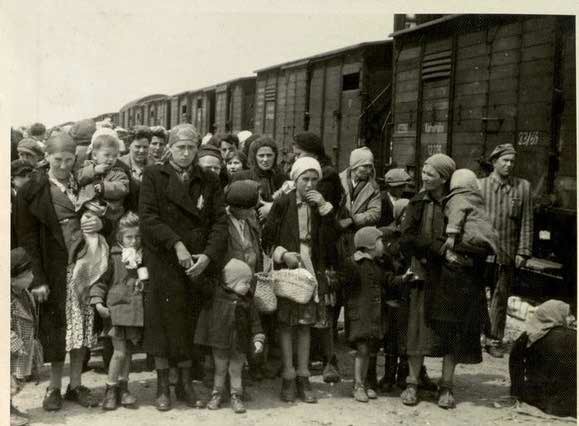 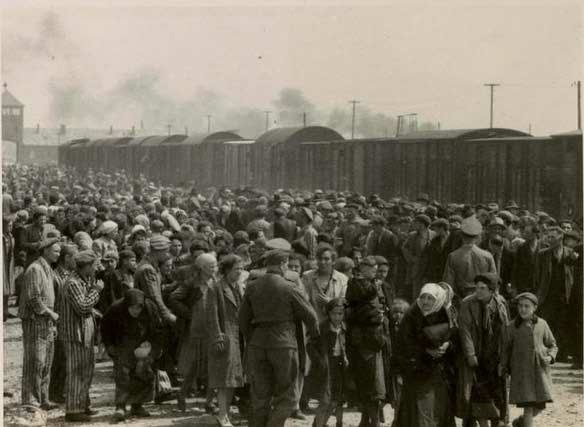 Do Photographs Prove the NS Extermination of the Jews? 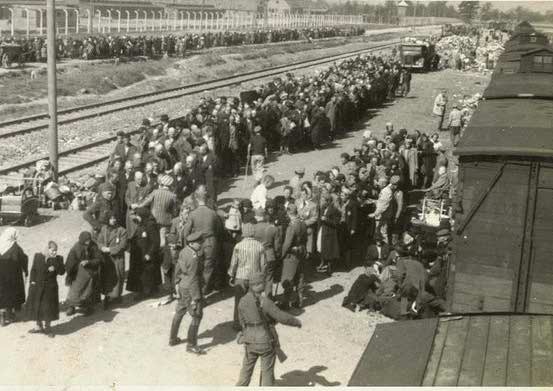 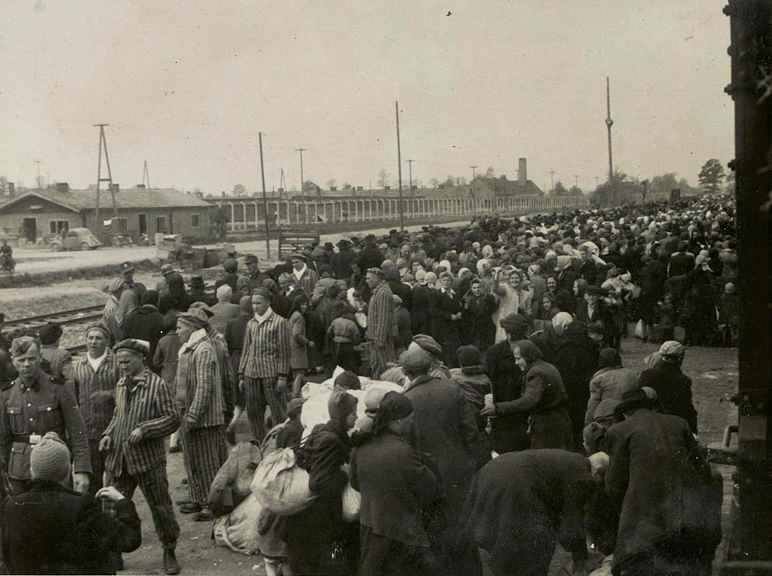 The train station at Auschwitz.